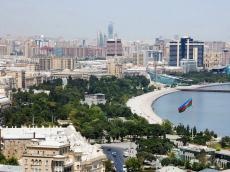 Azerbaijan improved its rating by three positions and took the 98th place in the new Global Terrorism Index, which was presented by the Institute for Economy and Peace, Trend reports referring to the document. The Global Terrorism Index reflects the influence of terrorism in countries and is based on the analysis of various socio-economic conditions, as well as the geopolitical factors of emergence of radical movements. The higher the position of a country, the higher is the threat of terrorism in it, and vice versa, with the last countries in the list being the safest. Azerbaijan took the 98th place out of 138, which means the almost complete absence of the danger of terrorism. Azerbaijan has thus become the region’s leader by this indicator. Armenia took the 83rd place, and Georgia – the 89th. The top three “leaders” in the rating are Iraq, Afghanistan and Nigeria. Russia held the 34th place, the USA – the 20th, Germany – the 39th, France – the 30th. Ukraine took the 21st place in the list, Tajikistan – the 74th place, Kazakhstan – the 75th, Kyrgyzstan – the 80th, Moldova – the 116th, Uzbekistan – the 132nd, Turkmenistan and Belarus – the 138th. The report's authors note that the number of people killed at the hands of terrorists has been decreasing for the third year in a row. As one of the main reasons, they indicate the continued weakening of the "Islamic State" terrorist group in Iraq and Syria. In Syria, the number of people killed by terrorists almost halved in a year – 1,100 victims in 2017 against 2,100 in 2016 and 2,700 in 2015. In Iraq in 2017 there were about 4,500 killed, compared to almost 9,800 a year earlier. The Institute for Economics and Peace is an analytical center that has developed its own methodology for assessing peaceful tendencies and violence in states from an economic point of view. In addition to the Global Terrorism Index, the Institute annually prepares the Global Peace Listing Index and other reports.